I hate auditions. The stress! The waiting in line to audition with other stressed actors who are pretending not to be stressed. Auditioning for a panel of serious heavies who are more focused on filling in their evaluation forms than on responding to your performance. Coming out of the auditions and on the way home realizing all the things I should have done in the audition. They would have loved me if I had rather done gumboots dance instead of reciting that stupid old TS Eliot poem! If only! Then waiting for the result. Pretending you don’t care. Trying to focus on the texture of the water as you wash dishes and not on how awesome it will be if you get the part. On the 22 January a group of 15 talented and enthused theatre makers listen to us telling the Swazi folktale “Python and the Qunube Tree”. They were then thrown into the deep end and asked to retell the story as a group in their own words and in their own language. They improvised the performing of the folktale together. They were auditioning for JTC’s 2019 capacity training programme funded by the National Lotteries Commission. Jungle Theatre’s artistic team laughed because the improvisation was funny. They were also surprised by the effortless way relative strangers were able to perform off-the-cuff together. It was impressive. 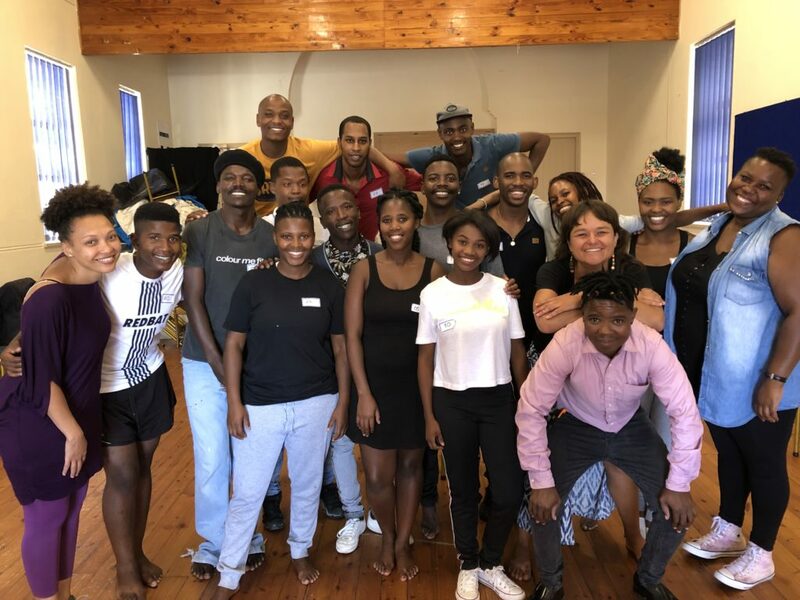 Also the team felt honoured to be in the presence of a group of aspiring theatre makers who are passionate about African culture and children’s theatre. Our task as the JTC artistic team was to help each candidate feel comfortable and provide them with the space to show their individual talents as well as participation in a group. Each candidate was interviewed one by one. Each one speaking about what they would like to bring to the company and what they wish to gain from the experience. Each one making a commitment to the parameters of the training. Each one presented a talent with focus and dedication. All were good. Some were more suitable to our training than others. Some seemed too experienced to train. Others seemed too inexperienced. For the JTC artistic team the hard part was still to come. Evaluating and selecting. A heated discussion ensued. He’s too old! She’s too young! We need an Afrikaans speaking man! We need more isiXhosa speaking woman! But he’s so talented! Will they really be committed! Oh dear. Now I’m wondering what is more stressful. To audition or to hold auditions. We’ve been stressing about if we will get enough people at the audition. Then about if we will be getting too many. Then about who to select and if selected whether they will accept! Finally, we reach a decision; 5 trainees were selected and signed their contracts. Finally, we can let go of the stress. I love auditions! Take a deep breath. But not for long. Breathe out! Now we need to train this bunch! We have 18A Tax Exemption so your donation is Tax Deductible.